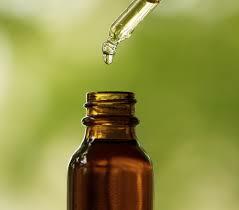 What are CO2 Extracts in the World of Aromatherapy? When we talk about essential oils, it’s often an umbrella term for many different kinds of aromatic liquids. These are usually water/steam distilled, and this is the most common way to date that oils are extracted. All the oils you would commonly buy today would be steam and water distilled and this process is simple, traditional and dates back through the past century. These are usually made flowers or very delicate plants where a chemical extraction process is used (see my article Absolutes? 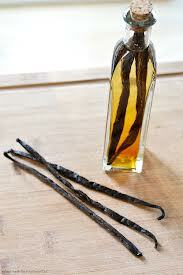 Not Absolutely) but they resemble essential oils in viscosity and are used in the same way as essential oils. They tend to be more concentrated then essential oils. These are highly concentrated liquid extracts that are a combination of resins and aromatic oils. The plants they come from have a high resin content so they fall into their own category. Once again they can be used in the same way as essential oils. CO2 Extraction is also called Super-critical CO2 extraction and it produces a couple of plant products – extracts or selects, and totals. A relative newcomer in the world of extraction, the name makes it sound bad but it’s not! There are lots of good things about this process and I’ll try to sum it up briefly and succinctly. The extraction process uses carbon dioxide heated to a degree where it has both liquid and gaseous properties- this part is the super-critical part. It’s less hot them steam and water distillation so this is a bonus as it doesn’t change the plant materials as much. It’s this liquid form that extracts the volatile plant material. Aromatic oils, resins and other cellular materials like pigments are extracted by the liquid CO2 which evaporates easily, leaving a substance that more closely resembles the plant. CO2 extracts more closely aromatically resemble the whole plant, whereas essential oils are specifically the volatile oil component of the plant. CO2 extracts may be better scent wise, or less attractive. It depends on the plant. I don’t use CO2 extracts extensively in my practice yet, as many of the extracts are semi-solid and aren’t easy to work with. It seems some of the extracts are better suited to using in creams and lotions. I move more into the area of natural perfumery I know I’ll use some of the extractsmore often. I haven’t actually spent the time looking at the analysis of each oil, which will indicate the therapeutic property of the “oil”. 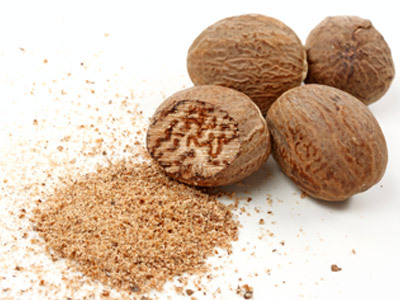 “are usually thick and pasty due to the beneficial fats, resins and waxes they contain that come from the plant material itself. These totals are soluble in essential oils and vegetable oils. None of my suppliers in Sydney provide these “totals” and I don’t have first hand knowledge of how they work – but it sounds interesting! Good luck with the CO2 extracts! This entry was posted in Aromatherapy basics & how-to's, Essential OIls, Good things come from this and tagged absolutes, agarwood CO2 extract, ambrette CO2 extract, angelica root CO2 extract, arnica CO2 extract, aromatherapy, calendula CO2 extract, caraway CO2 extract, cardamom CO2 extract, chamomile CO2 extract, champaka CO2 extract, cinnamon CO2 extract, clove CO2 extract, CO2 extraction, cocoa CO2 extract, coffee CO2 extract, coriander CO2 extract, essential oils, evening primrose CO2 extract, fennel CO2 extract, fenugreek CO2 extract, frankincense CO2 extract, ginger CO2 extract, ginger lily CO2 extract, glabanum CO2 extract, jasmine CO2 extract, juniper CO2 extract, kava CO2 extract, linden blossom CO2 extract, myrrh CO2 extract, natural extracts, natural perfume, natural scents, nutmeg CO2 extract, oleoresins, orris root CO2 extract, patchouli CO2 extract, pomegranate CO2 extract, resinoids, rosehip CO2 extract, sea buckthorn CO2 extract, spikenard CO2 extract, St John's wort CO2 extract, vanilla CO2 extract by suzannerbanks. Bookmark the permalink. Thanks so much for reading Mr Accountant.